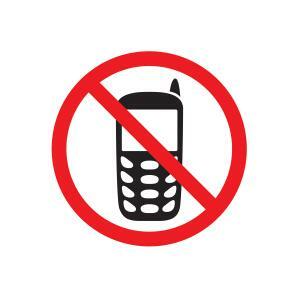 The Apli No Mobile phone sign is a great way to let people know the areas where mobile phone usage is restricted. It can be used at various public places, including offices, hospitals, educational institutions and more. This self-adhesive sign is easy to apply and adheres to most smooth, non-porous surfaces. It features an universal symbol, making it easier to understand at a glance.